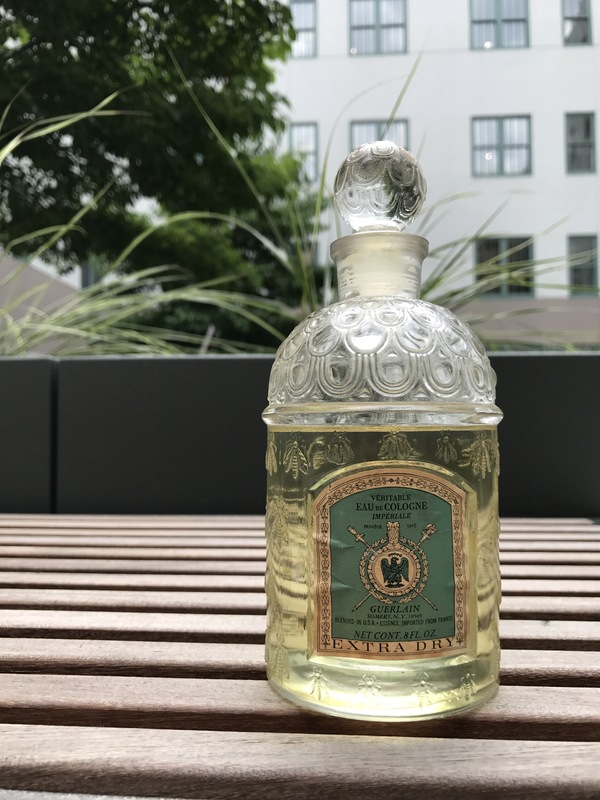 An extremely herbal but ultimately elegant Guerlinade is Véritable Eau de Cologne Impériale Extra Dry (Guerlain 1904). It’s green but demure and detached in a cool, breezy sort of way. The lemon verbena is especially noteworthy. It meets other very verdant notes to create an olfactory sensation akin to taking a drink of cold mountain fresh water. The neroli is lovely too. And while I can’t find a complete list of notes is it possible the bergamot is mixing with vetiver, a delicate rosemary and cedar? Of course, all these sharp notes are held to earth by the perfect choice of warm base notes.